Our firm is engaged in offering a wide range of superior quality Bifluoride Chemical . Keeping the financial constraints of our clients, we offer these chemicals at cost-effective prices. 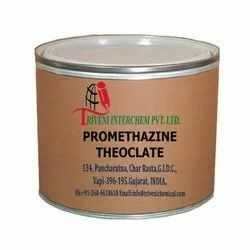 Promethazine Theoclate (17693-51-5) is powder. it is use in motion sickness and vomiting Industry.Promethazine Theoclate (17693-51-5) is powder. it is use in motion sickness and vomiting Industry. Looking for Motion Sickness API ?